Polaroid hopes to launch a digital camera that delivers instant prints in the popular 6x4in format but admits that future launches have been delayed by recent changes at the business. 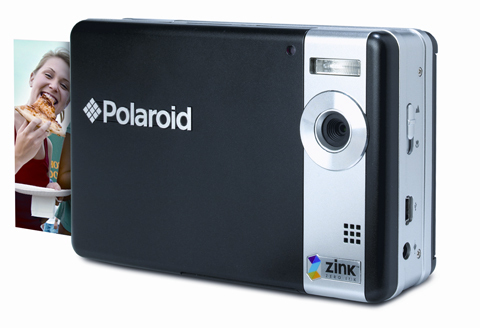 A senior source at the US-based company said it is likely that the firm will launch a 6x4in version as part of its upcoming range of cameras that use existing Zink printing technology. The firm has also confirmed to Amateur Photographer that it is still ‘serious’ about plans to bring out a version that produces 3x4in prints – a format reminiscent of images produced by Polaroid’s famous instant film consumer cameras. Last month it emerged that Polaroid’s assets, brand, intellectual property and inventory will be sold to a joint venture led by US firms Gordon Brothers Brand and LLC (GBB), and Canada-based company Hilco Consumer Capital. The move came after Polaroid filed for Chapter 11 bankruptcy protection following investigations into alleged fraud at Petters Group Worldwide, the company that owned Polaroid. Earlier this week Polaroid confirmed the upcoming UK debut of Polaroid’s first digital camera with a built-in printer, the Polaroid Two (pictured), which uses ‘inkless’ Zero Ink (Zink) technology. Due out this month priced around £230, it is claimed to deliver a 2x3in print in ‘less than 60 seconds’ and allow users to preview the images beforehand via the camera’s 3in LCD screen.